In order to compete in the global market, Africa must tap into its supply of intelligent, eager young people for future leaders, both in the government and the private sector. Being the most youthful continent, with 65% of Africans under 35 years of age, and over 35% between the ages of 15 and 35, now is the time to groom African youth for key government leadership positions. We need more young Africans in boardrooms, key government roles, and in the religious and civil sectors of society as there are currently few young people in these positions of power and influence. We must strive to blend new ideas with the old. This can best be accomplished by combining the wisdom of our older leaders with the fresh thinking and energy of our young people. Younger leaders will have global perspective and older leaders will provide the experience. We must incorporate the meritocratic youth into Africa’s leadership structures in order to provide renewal and growth. The blending of promising youth leaders into African leadership structures will not only rejuvenate African institutions, organizations and leadership offices, but will also offer new horizons and solutions to problems, resulting in more efficient and globally competitive institutions. This will propel Africa to new heights of prosperity. 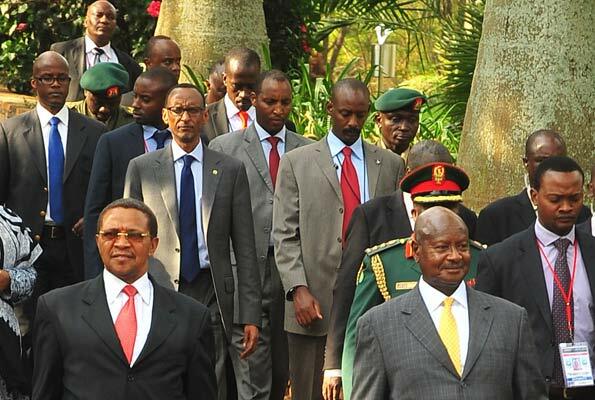 Current African leaders have been very successful at winning political independence from colonial powers. Now, for Africa to continue to grow and be globally competitive, it is critical to blend the leadership structures in government, so that the elders can serve as advisors, tempering the zeal of the young leaders with time-tested wisdom. It is important to pass the leadership baton from the elder statesmen, many of whom are out of touch with the current situations within their countries, to promising meritocratic youth leaders, who can learn from the experiences and mistakes of the elders. Additionally, the youth are often aware of issues that older leaders may not recognize or see as important or influential. The ideas of the youth and the mentorship and guidance of the elder leaders create a fertile environment for success for enterprising youth. For instance, in Zimbabwe, the late Vice President, Joshua Nkomo, personally assisted Strive Masiyiwa, an entrepreneur, after the government had rejected his application for a cellphone service operating license. Nkomo, the wiser elder statesman, had the courage and ability to indulge the foresight of the youthful Masiyiwa. He helped Masiyiwa obtain the license. Econet Wireless is now a global success, creating jobs across the world and providing mobile telephone and financial services. Today, to build progressive African societies that are globally competitive, it is pivotal to blend what the youths want and need with wisdom from these elder statesmen. The youth have a critical role to play in both the private and public sectors. Access to technology, modern education, and healthcare are critical to the global market. And, blending cognitive diversity of ideas from the youth and the elders can bring long-term solutions to some of the problems crippling Africa.Integrating and increasing the number of meritocratic youth within Africa’s critical decision-making bodies will result in a new paradigm for Africa’s leadership. Imagine the diversity of ideas from a government office that has a leadership comprising one young woman who grew up and was educated in Africa, a boy with a global perspective who grew up in Africa but was educated and worked around the globe, and an older leader to provide wisdom and guidance. Yes, we all vouch for homegrown ideas to solve our own problems. However, we don’t always need to reinvent the wheel. Sometimes the solutions are simpler. Learning from those that have done it, internalizing the key lessons or solutions, then customizing and applying those to our own problems is the best way to enact change. It is important to base the selection of youth in these leadership positions on meritocracy. Only those youth that show great leadership potential, those that have mastered the art of influencing others and have shown excellence in their respective disciplines should be groomed into the leadership structures that will take Africa to the next level. Many African youth have gained global exposure in their studies and businesses abroad and can add value and new ideas that can improve Africa. Including these youth is the first step in creating the new Africa of which we are dreaming. Blending these youthful ideas with the ideas of the elder leaders will create a strong mentor partnership, so that young people mature into effective, results-driven African leaders. It is important to note that a lot of these ideas would resonate in an environment of tolerance, trust and inclusiveness, where we all share one vision for Africa: that of prosperity, a vision that is beyond today but that sets a foundation on which the continent can build for future generations to come. Zimbabwe-born Martin Ganda is an Africa focused Investor, Advisor and Strategist.